The short comings of Hungary’s gambling regulatory laws have come to light this week, following a court case brought about by Sporting Odds, an online bookmaker based in the UK. Sporting Odds has been operating in Hungary illegally, offering its online gambling services through local operators and providers. In 2016 the Hungarian Tax Authority fined Sporting Odds $13 000. Sporting Odds then took the matter further with the Administrative and Labour Court to quash the fine, but instead the court recommended the case to the CJEU as the court suspected that the local laws could be contradicting EU laws. Hungary’s current gambling laws state that for a company to get an online gambling licences it first needs to be based, physically , in Hungary, i.e. have land based venue. Secondly the company needs to have operated a casino for at least 10 years. This essentially removes all competition from the licensing bids and the local market. The court found that these laws directly restrict the EU laws on the freedom of companies within the EU to provide their goods and services freely to member states. A similar case was heard last year with the same outcomes. 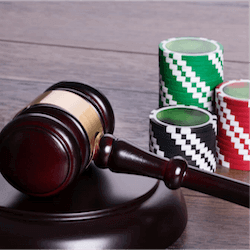 International operator Unibet was fined by the Hungarian Tax authority as the company was operating “illegally” according to gambling laws and Unibet took the case to the courts who ruled that the Hungarian laws were putting operators at a disadvantage against local land based casinos. Whether Hungary will now change or amend their gambling regulatory laws remains to be seen. Their current laws are simply not sustainable as it creates a land based casino monopoly and removes the option of choice for all Hungarian gamblers. The government surely have to step in as it also hurts the land based casinos who want to move online as it also limits the content deals and software deals that they can sign with international operators. If the government does move to alter current regulatory laws then it would take quite some time to push through parliament. For now it seems all individual international operators can do is contest the bothersome fines as they arise. There have already been two cases that have set a precedent so these operators will surely have legal grounding for their claims. Fortunately the courts have allowed reason to triumph. The local courts could easily have sided with their government policy.